Darque destinies! 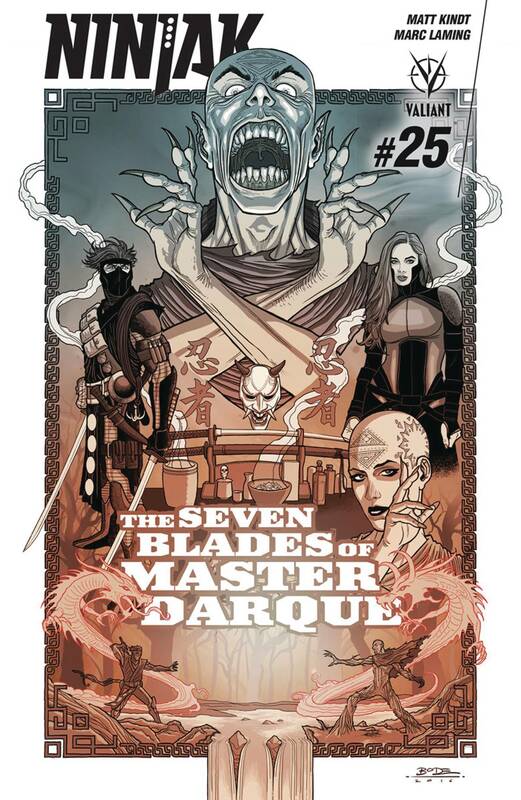 Once sworn enemies, Ninjak and the Shadow Seven have forged an uneasy alliance to accomplish their singular goal: kill Master Darque! But why can't Colin King shake the feeling that he's leading a suicide mission, or that his mysterious benefactor, Sandria Darque, isn't giving him the whole story? Ninjak's about to confront a terrifying truth?and the answers just might destroy him!